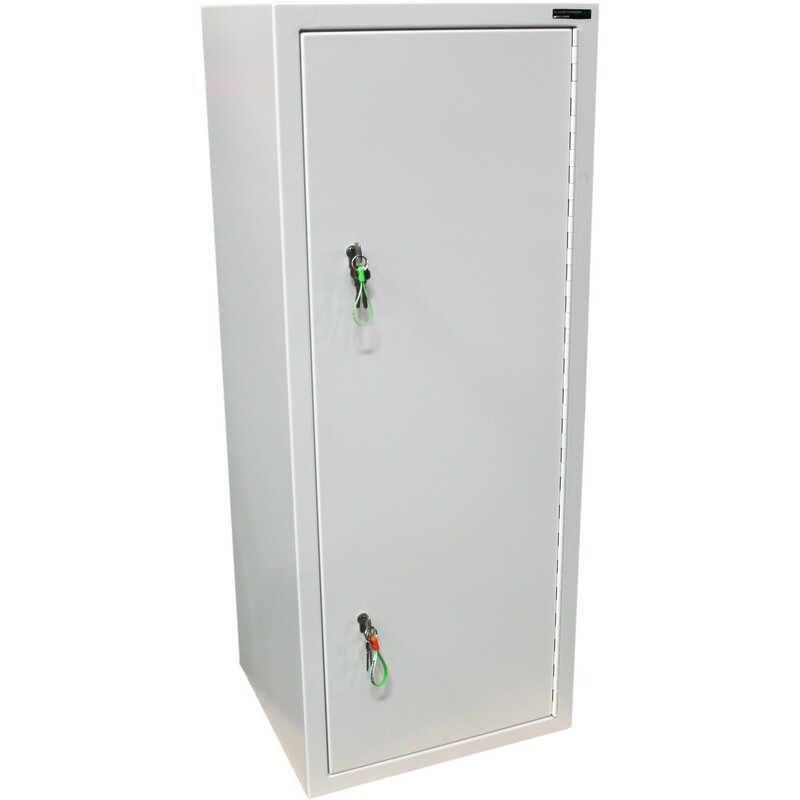 This SA002 controlled drugs cabinet is manufactured in the UK and conforms to all relevant standards for controlled drugs. 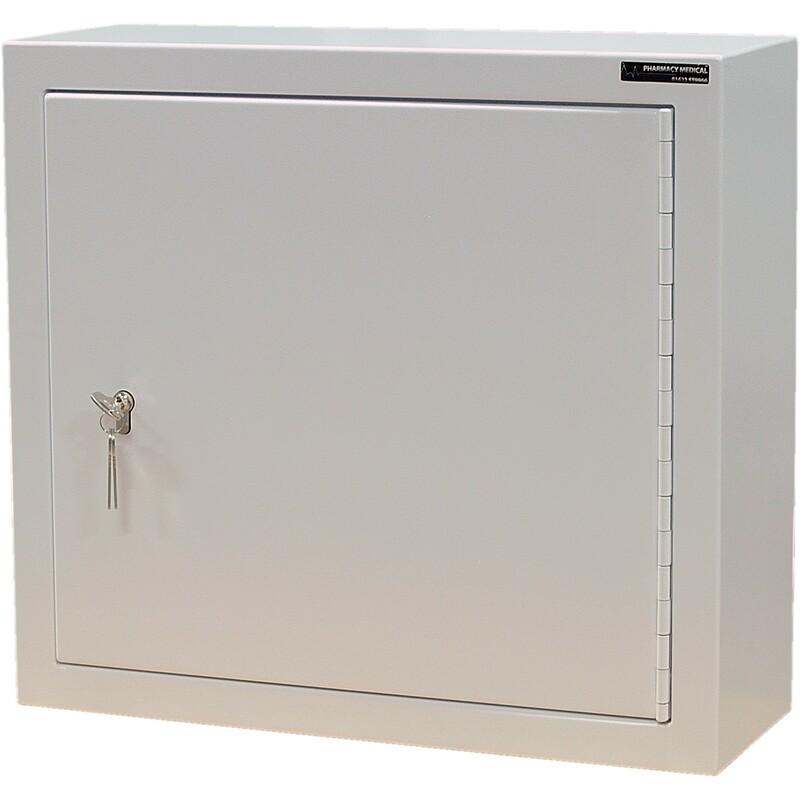 The cabinet conforms to BS2881:1989 (Security Level One) which is the specification for cupboards for the storage of medicines in health care premises and meets the requirements of the “Misuse of Drugs (Safe Custody) Regulations 1975”. 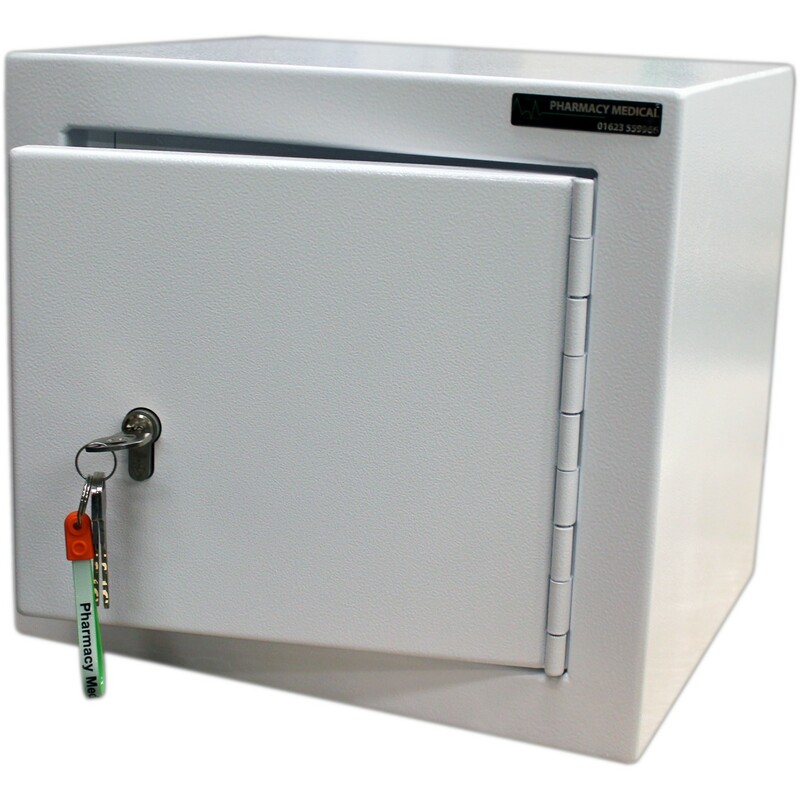 the requirement in the UK for the storage of controlled drugs. 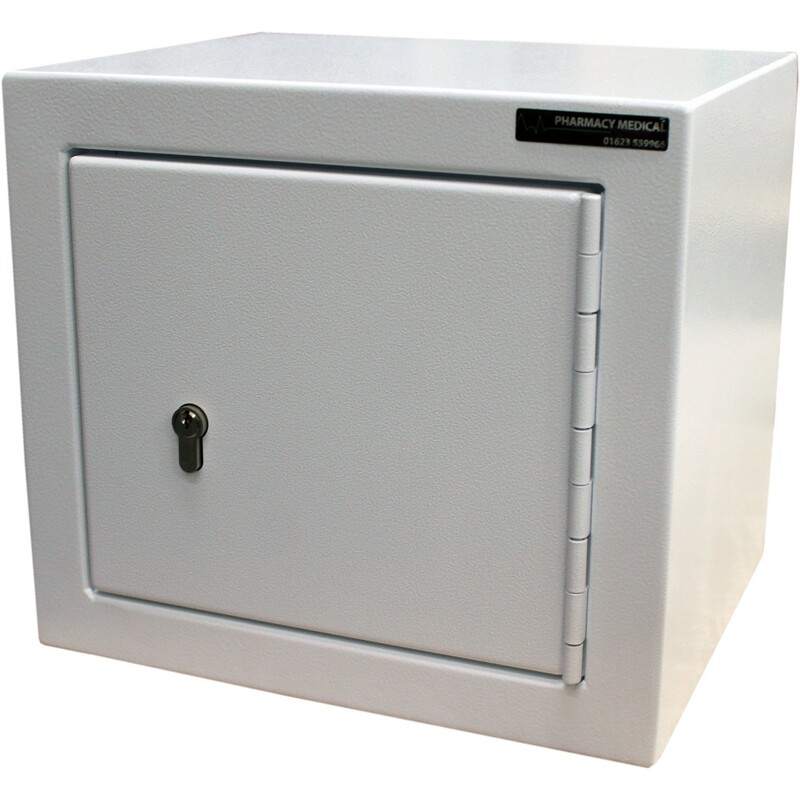 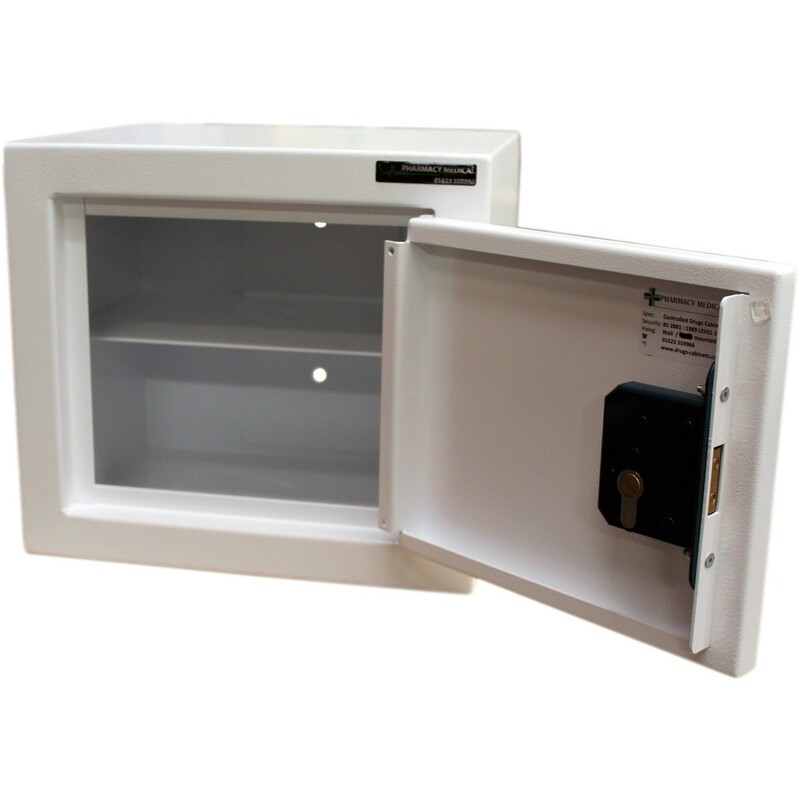 This SA002 controlled drugs cabinet has been manufactured from 2mm thick mild steel and comes complete with a 6-pin euro profile cylinder lock conforming to BS3621 and tested to meet tested to meet BS:EN1303:2005. 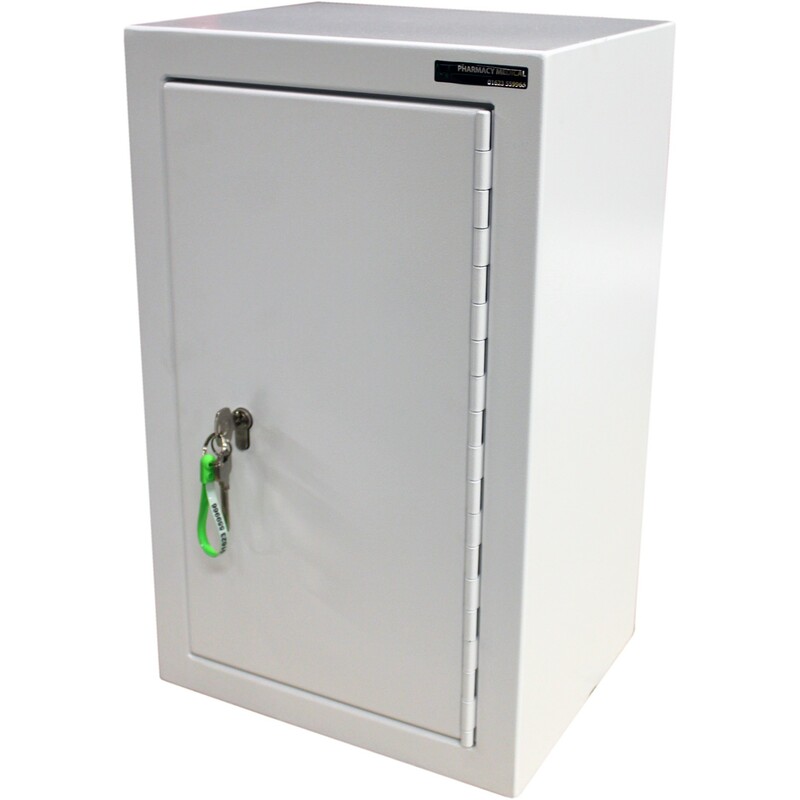 The SA002 controlled drugs cabinet is a small package that is ideal for small volume controlled drugs often used in care home applications and comes with one fixed internal shelf, but no door shelves.